Experience all the exciting possibilities of living and working ‘down under’! 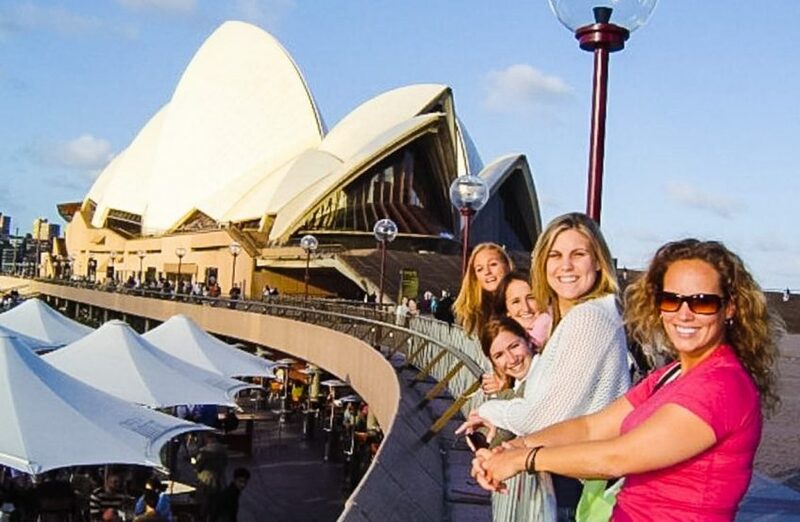 Explore the outback, dive at the Great Barrier Reef or enjoy the vibrant city life of Sydney, Brisbane, Perth or Melbourne. On our Work & Travel Australia program you have complete flexibility to live and work anywhere in Australia for up to one year. Program participants have free use of our resource centers located in Sydney, Brisbane and Melbourne for the duration of your time in Australia. Assistance obtaining a Work and Holiday Visa. We provide step-by-step instructions on how to secure your visa. Pre-departure assistance and guidance to help prepare for your trip to Australia. Program Handbook – Includes tips on What to pack, Money Matters, Surviving the flight, Arrival in Australia and much more! Job workshops every weekday – Learn how to build an effective resume (CV), how to source jobs and successfully apply for them, how to generate interviews and how to conduct yourself during the interview. Job assistance for up to 12 months – talk to one of our experienced Job Specialists to receive customized information and advice about how to secure the perfect job for you. Assistance opening a bank account. Free luggage storage (Sydney only) for the first 4 weeks! NEW PROGRAM OPTION – TWO FOR THE PRICE OF ONE! Heading ‘down under’ but can’t decide between Australia or New Zealand? No problem! You can combine both work programs and pay only one program fee. You have the option of working in Australia for 6 months and then New Zealand for 6 months or spend 4 months in Australia and 8 months in New Zealand or vice versa. Combined program duration is 12 months. If you want to add arrival accommodation and airport shuttle transfer to your program, please contact IENA at outbound@iena.org for additional costs. *You must meet eligibility requirements for a Work and Holiday visa to Australia and a Working Holiday visa to New Zealand. Able to produce proof of support funds in excess of AU$5,000 on entry to Australia. Not bring children or dependents with you to Australia on this program. Not have previously worked in Australia on a Working and Holiday visa.